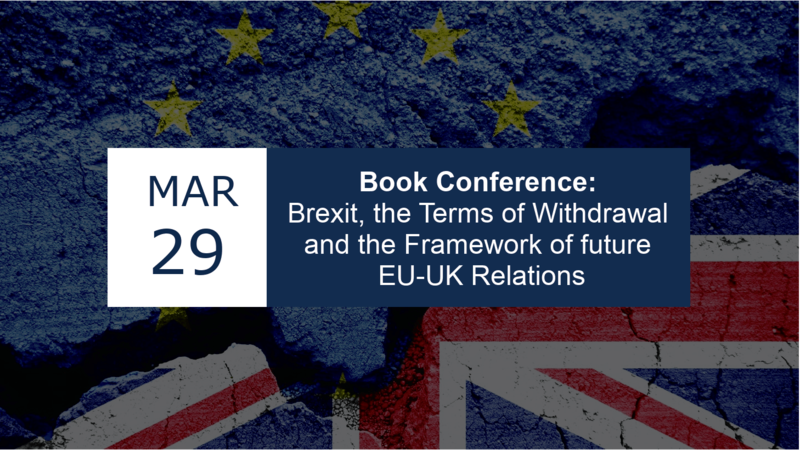 On March 29th, the DCU Brexit Institute hosted a Book Conference: “Brexit, the terms of Withdrawal and the Framework of future EU-UK Relations”. The event featured an opening keynote from Mary McAleese (Former President of Ireland). This was followed by four panel discussions on the themes of The Process; The Withdrawal Agreement; The Framework of Future Relations; and The Challenges. Guest panel members will include Emily Jones (Oxford), Kenneth Armstrong (Cambridge), Paul Craig (Oxford), Catherine Barnard (Cambridge), John Doyle (DCU), Eileen Connolly (DCU), Edgar Morgenroth (DCU), Giorgio Sacerdoti (Bocconi University), Paola Mariani (Bocconi University), Deirdre Curtin (European University Institute), Ben Tonra (University College Dublin), Sionaidh Douglas-Scott (Queen Mary London), Etain Tannam (Trinity College Dublin) and Federico Fabbrini (DCU). The event was held in the offices of Arthur Cox, 10 Earlsfort Terrace, Dublin 2. The programme is available here. Programme subject to change.